Not enough Christmas spirit in California? 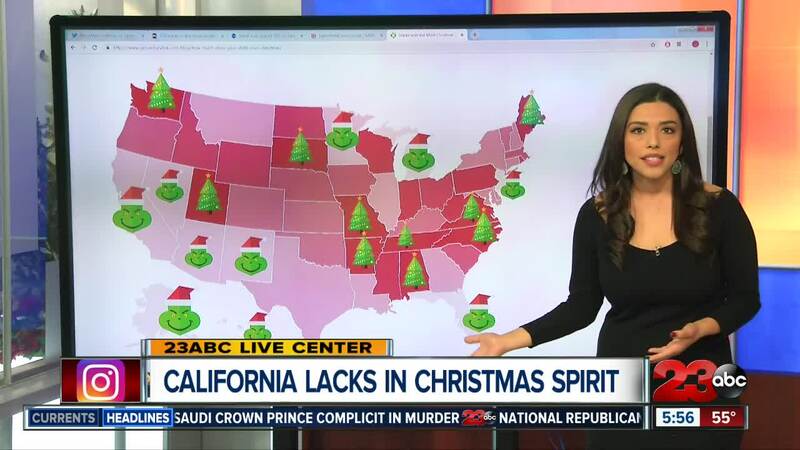 It looks like California could use some more Christmas spirit! A recent online survey named California one of the "grinchiest" states in the country coming in at 42nd on the list. GetCenturyLink broke down the data in 10 different Christmas categories including Google searches for Christmas movies, Christmas music streaming and charitable giving to compile the rankings. Washington ranked No. 1 in their love for Christmas followed by South Dakota, Utah, Missouri and Maine.